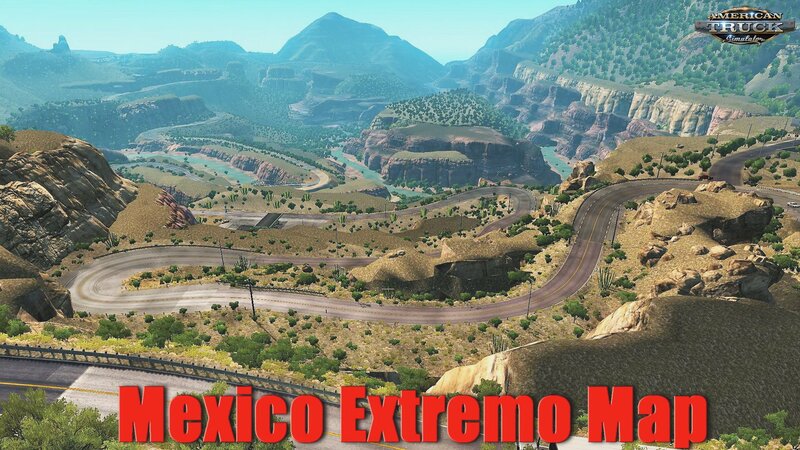 Download mod Mexico Extremo Map v2.1.8 (1.34.x) for ATS | American Truck Simulator game. New two states added, Aguascalientes and Nayarit, remodel of Durango state entirely, small portion added south of Chihuahua state, some upgrades made in Zacatecas. 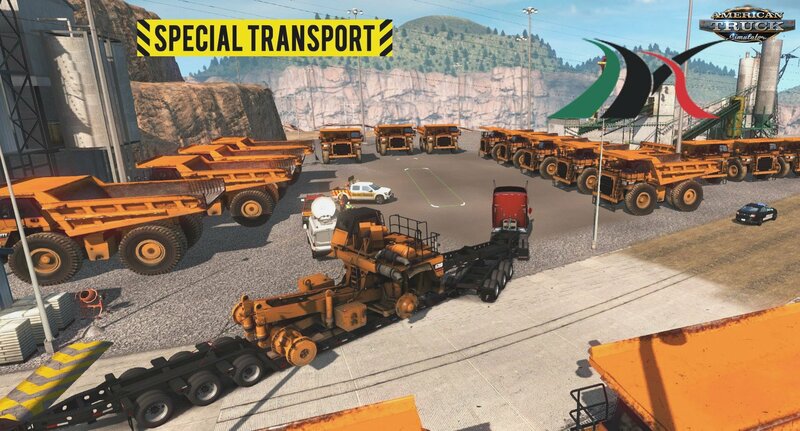 Special trasnport DLC support with 7 special transport cargo routes in map. -Remodel of durango state enterely. -New remodel routes in Durango state, federal road 23, 45, 49 and state road 44. -A maze! first in ATS, figurate out in Mapimi area called "Zona del Silencio"
- Remodel of durango state enterely. - New remodel routes in Durango state, federal road 23, 45, 49 and state road 44. - A maze! 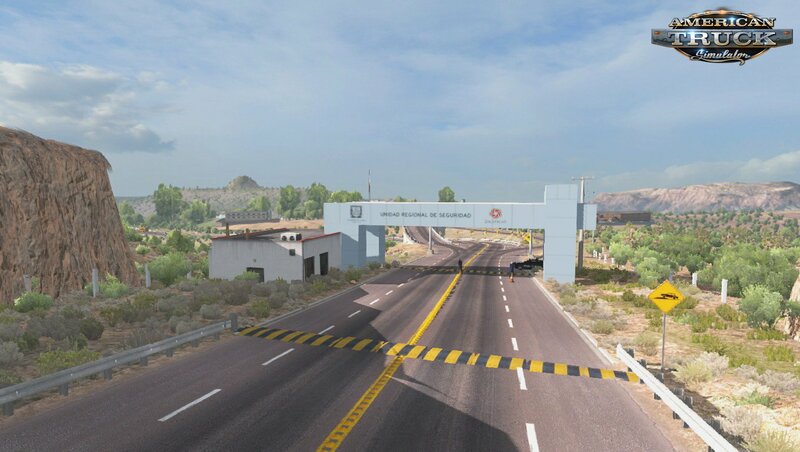 first in ATS, figurate out in Mapimi area called "Zona del Silencio"
- 17 new cities and remodels in 2.1 "Aguascalientes". -Optimized different zones all across map. -New develivere areas in El Salto and Mezquital for wood industry. -Improvements of landscape in certain areas. -Includes 12 new models of fictional mexican stores. 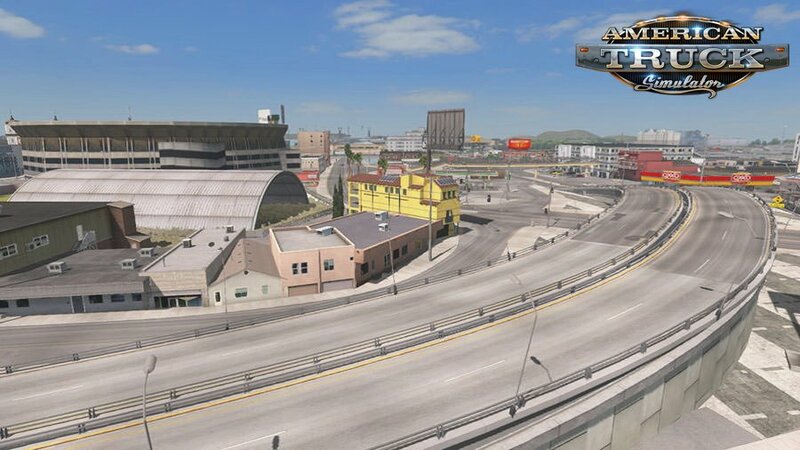 -New rest areas and fuel areas in map. -Fixed Rio Grande-Cuencame route (no potholes), fixed invisible wall in area. -Nuevas señales additional signals and proper text. -Reconstructed route Rio Grande-Sombrerete,better tracing and landscape fix. -New route between Pinos-Ojuelos, federal 49, 80 and 70. 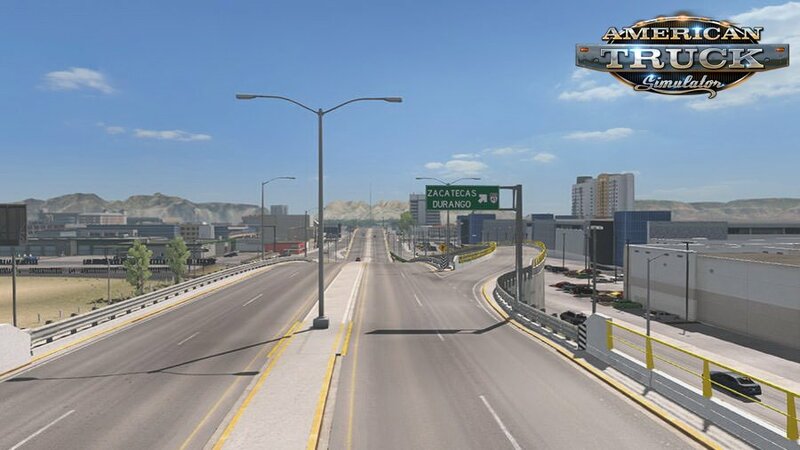 -New city Ojuelos, Jal, for 2.0C "Zacatecas"